Sometimes, when someone is so great- we forget to let them know, assuming that they’re already fully aware of their greatness. Regardless, every being deserves ample appreciation and recognition for who they are and how they show up in the world. I know, it may not seem very yogic to boosts someone’s ego, but that’s not necessarily the purpose here. The purpose is more so to share the joy of Math’s teachings with the world. If you haven’t already seen him arm balancing on Instagram, laughing away on Codyapp or heard him chant in real life- you’re in for a treat. And for those of you who know what I’m talking about… well you know what I’m talking about! I’ve met few people in my life that can match the amount of passion that this man lives his everyday life with. It’s not a question of one class here and one practice there, his charisma and encouraging attitude is an unbroken constant. His life is an endless work of art born out of his joy and presence in every given moment. If you’ve ever attended a class of his you’ve probably heard him slip a French word here and there in the sequence, adding a Parisian romantic flair to the most unromantic of postures. He’ll challenge you until the bitter end because that is how much he cares about the evolution of his students. He doesn’t merely want to see his students show up, he wants to see them excel- and so he does. Any true disciple of his is bound to success in whatever they set their spirit to. Mathieu teaches from his soul in a way that magically and inevitably draws you into the core of your own being, propelling you to become the best version of yourself possible. His ancient soul, along with his playful nature makes him one of the greatest teachers I personally have ever had the opportunity to learn from. 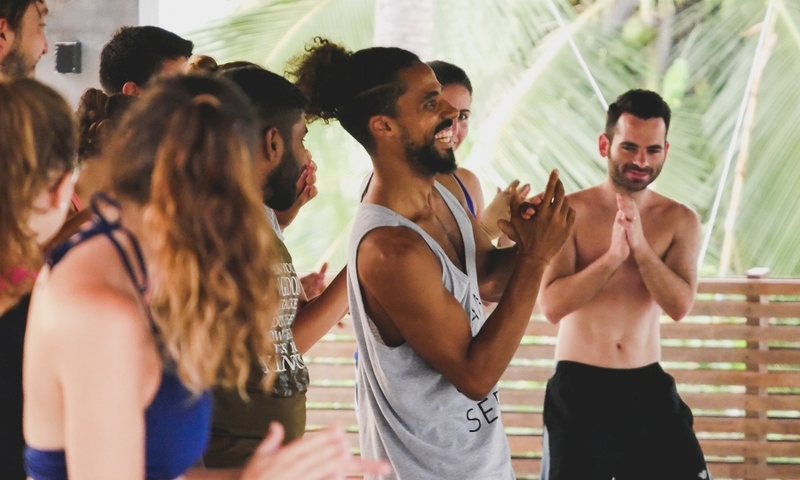 So, if you’re out there fumbling, whether beginner or advanced yogi, looking for a teacher to support you through some real deep transformation, Mathieu is certainly the guy for you!